Thunderstorms produce a variety of hazards including lightning, flash flooding, hail and strong winds. Early warning of storms is especially important for activities including aviation, tall structure maintenance, explosives use, explosive environments, outdoor public events and leisure. Lightning detection can be achieved using either a network of radio receivers or through the use of standalone devices. Lightning networks use accurate time measurement of flashes from multiple receivers to centrally calculate the location of a strike, data is then distributed to users, typically over the internet. Network systems provide wide coverage and accurate strike location but are expensive and so users typically buy data through annual contracts. 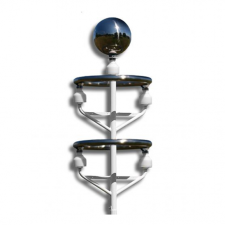 Standalone lightning detectors have a poor reputation due to high false alarm rates caused by the detection of local electrical sparks and arcs. Neither networks nor traditional standalone detectors can provide any warning before the first strike. 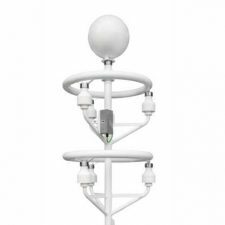 Developed by Biral in 2012, the novel technology used by the BTD-300 thunderstorm warning system provides an exceptional ability to locate all types of lightning activity within 83 km (51 miles) in less than 2 seconds. Due to the unique quasi-electrostatic design the false alarm rate of the sensor is almost zero which eliminates the major failing of traditional standalone detectors. 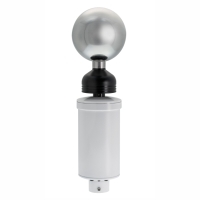 The BTD-300 uniquely provides alerts when a thunderstorm is forming overhead giving time for safety measures to be implemented. The BTD-300 can be used in a wide range of applications but is particularly suited to airfield use through compliance with the design requirements laid down in US Federal Aviation Authority Advisory Circular 150-522.